Red Cents is an award-winning literary arts journal that showcases student writing, visual art and graphic design. It is edited and published each year by Goshen College students through the college’s Pinchpenny Press. 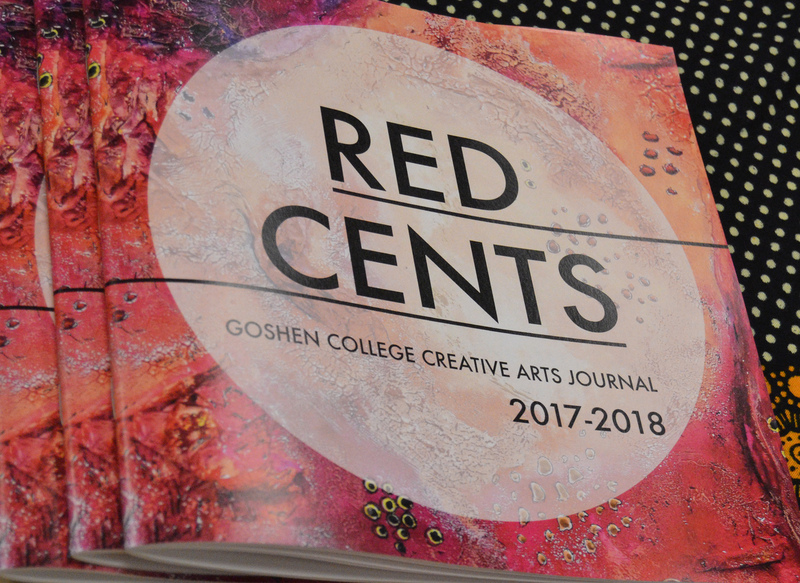 In 2018, Red Cents published its 13th issue. 2013-14: First place, Best Nonfiction Essay (Grace Parker); First place, Best Short Poem (Phil Scott); Second place, Best Free Verse Poem (Becca Kraybill); Third place, Best Literary Magazine of the Year. 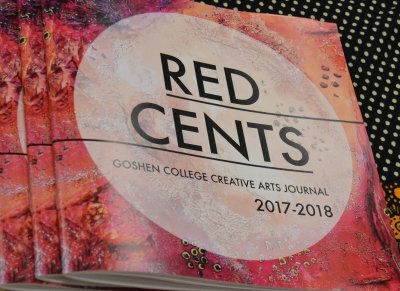 Rosanna Nafziger Henderson ’06, who wanted to see the work of her classmates in print, proposed the idea for Red Cents in 2004. She came up with the title “Red Cents,” which was meant to complement the “Pinchpenny Press” theme with a name that suggested frugality.